Are you interested in becoming a roller girl? Do you love roller skating? Want to learn the skills necessary to play roller derby? The Hard Knox Roller Girls are now recruiting for their 2019 season. There is an upcoming Fresh Meat Bootcamp starting at the end of our 2019 season. Email: training@hardknoxrollergirls.com for more details. 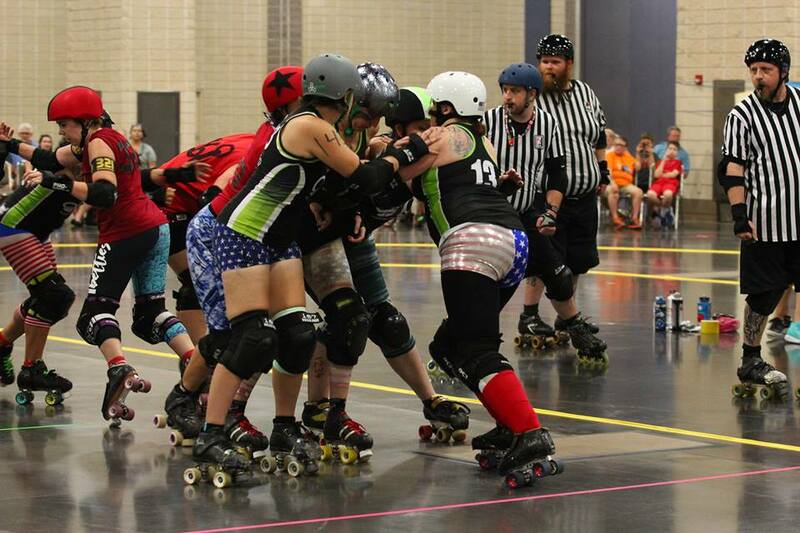 The Hard Knox Roller Girls currently have two teams within their league: The Allstars and The Brawlers. The Allstars are HKRG's competitive WFTDA team who play sanctioned bouts against other WFTDA teams for international rankings within the WFTDA organization. Both teams compete in home and away bouts. Read the Travel Teams section below to see membership requirements. Not interested in being a competitive roller girl but still love to skate? Then put on some black and white stripes and join Team Zebra! We'd love to have you help referee our bouts. And if skating isn't your cup of tea, that's totally cool. We always have a need for volunteers to fill our non-skating positions during home bouts. Read the NSO section below for more details. Who it's for: female skaters who want the challenge of competitive play against other teams from across the country. Insurance: WFTDA insurance is required. The fee this year is $75.00. Must pass WFTDA minimum skills test and rules test. Training is provided. Member Contribution Hours: Skaters must complete 7 hours of volunteer work for the league each month. Attendance: 80% attendance of mandatory, in-season practices is required in order to be eligible for game play. Mandatory, in-season practices are held each Sunday and Wednesday from 7:00pm-9:30pm. Who it's for: female or male skaters who want to participate in roller derby without playing. Referees are absolutely invaluable to the success of HKRG. Member Contribution Hours: required only on game day but we appreciate any other help you want to provide throughout the season. Attendance: 50% attendance of mandatory, in-season practices is required. 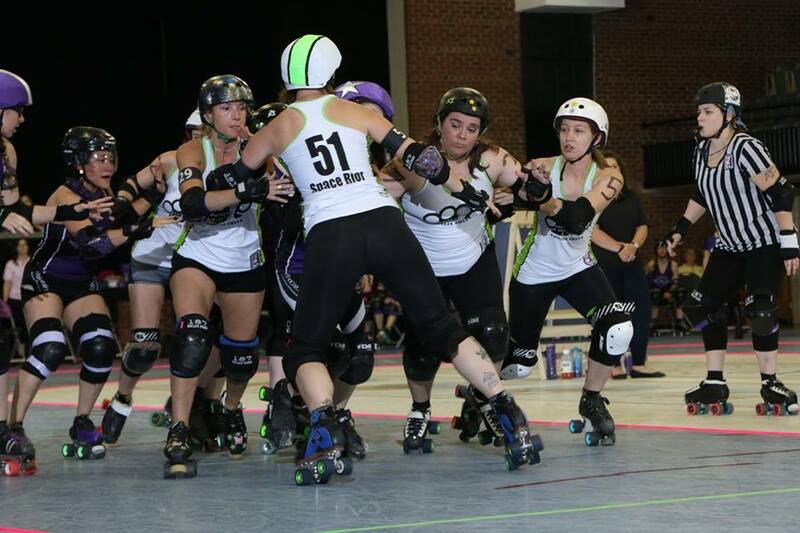 Referees must pass WFTDA minimum skills and rules tests before becoming officials. Training is provided. Referees may wear quad roller skates or inline skates. Who it's for: anyone who wants to volunteer to support HKRG without skating. Our bouts would not be possible without our NSOs, so we are always recruiting volunteers. No requirements outside of showing up for assigned task on game days. No dues, no MCH, and no attendance requirements. Interested in joining the league? Of course you are! Contact us to get more information or to get started.